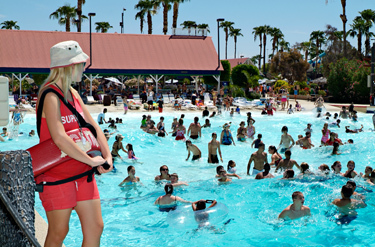 The Employee Network members save up to 35% off on waterpark admission and other Golfland activities. Golfland-Sunsplash has been Arizona’s favorite spot for family entertainment for over 25 years! Once you step inside the castle doors, you will step into a whole new world of fun! Golfland features three award-winning Miniature Golf courses. Within the castle walls hundreds of the latest Video Games, plus a huge Laser Tag arena. 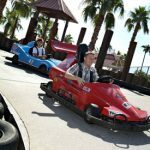 Golfland also features other exciting attractions, including: Bumper Boats, Race Cars, Bumper Cars and delicious Pizza made fresh to order! Golfland is open 365 days a year. Located right next door, Sunsplash is the perfect place to spend a sunny summer day. Our Caribbean themed paradise has over 30 rides and attractions. Ride the waves in our massive 450,000 gallon wave pool, or conquer the ALL-New Double Dare the Trap Door in the Floor Vertical Drop! Our zero-depth children’s play area is sure to be a hit with your little ones, featuring our all-new 100 gallon tipping bucket. Golfland-Sunsplash has something for the whole family.